The Flagler mansion was the winter home of Henry Flagler, a partner in Standard Oil, one of the most profitable companies in history (Flagler Museum brochure, 2015). 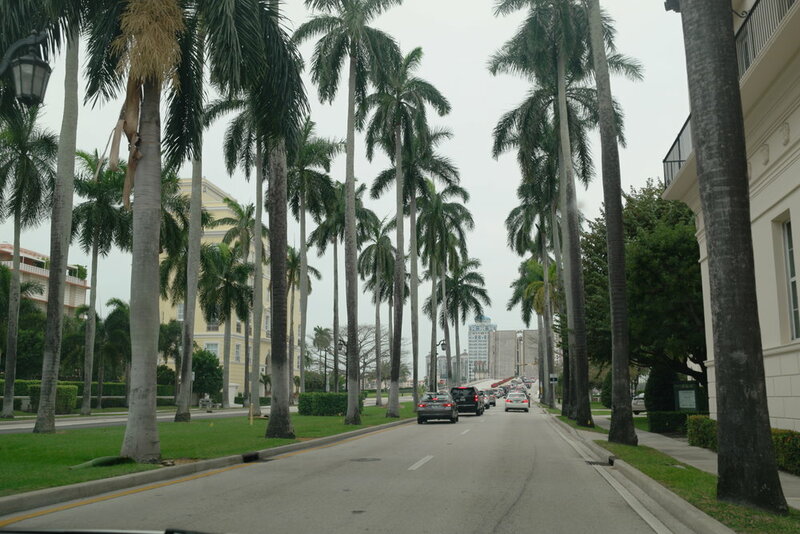 The museum is on Coconut Row, and as your drive towards it, you pass a beautiful street with rows of Palm Trees and go over a drawbridge. Henry Flagler hired the same firm that built his Ponce De Leon Hotel (now Flagler College), to design the home (NHL Nomination, National Park Service). The home deemed "Whitehall", was designed in the neoclassical revival, Beaux Arts style by the renowned Carrère and Hastings architectural firm, who also designed the New York Public Library in the same time period (NHL Nomination, National Park Service). The home is significant in preserving the cultural landscape and architectural style of the Gilded Age. The term the "Gilded Age," was coined by Mark Twain's in his books, and captures elite society's focus on wealth, extravagance, and ostentatious lifestyle. 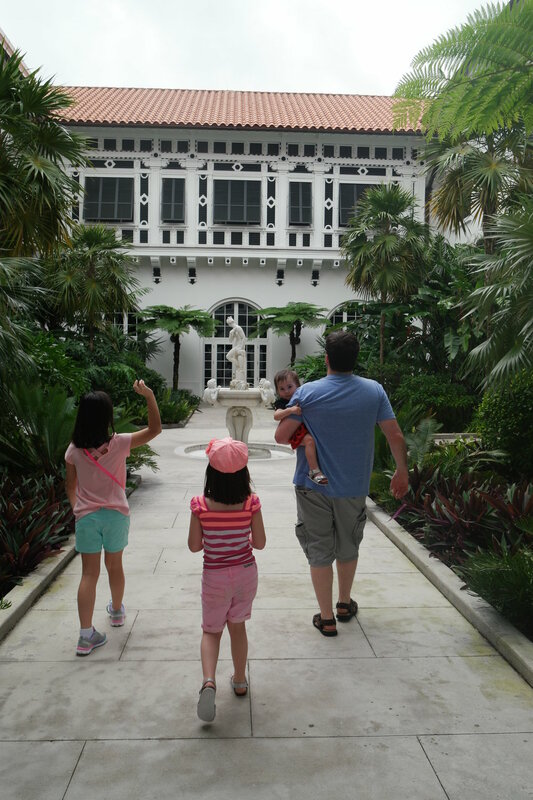 The mansion has a great deal to see-with 100,000 square feet of interior, an outdoor exhibit featuring Flagler's train car, and beautiful grounds. Walking up to the mansion, you feel you are entering an exclusive resort or hotel, more than a summer home and this was the idea. The home hosted many guests in its time within over 75 rooms. A building erected behind it, actually served as a hotel for some time after Flagler's death, before being torn down. An interior courtyard within the mansion. 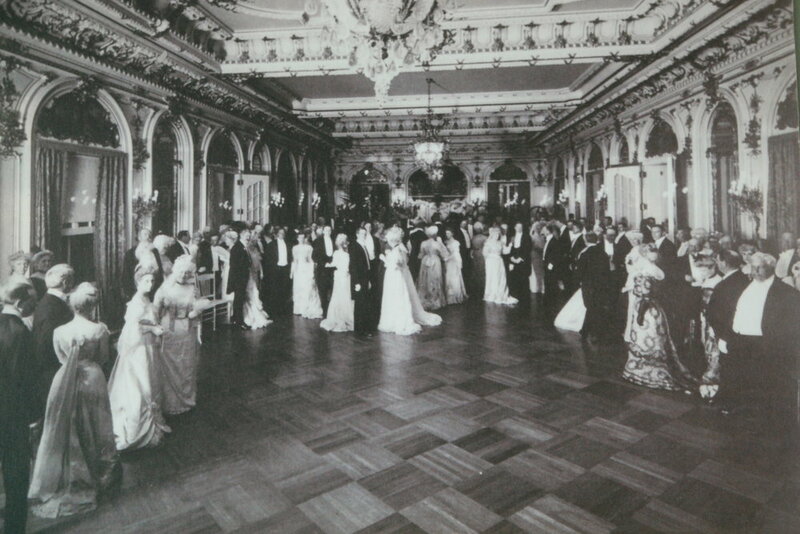 Whitehall was built as a wedding gift for Mary Lily Kenan, Henry Flagler's third wife. 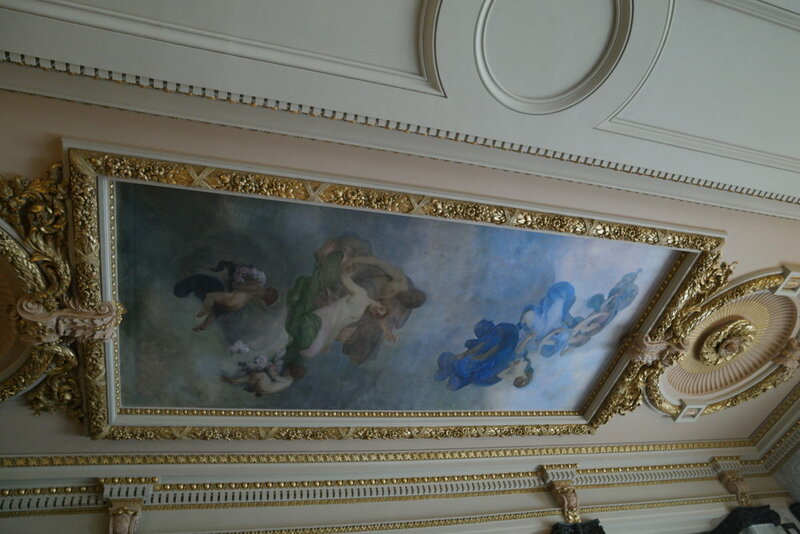 Perhaps the most interesting room is the Organ room, where a permanent organist was employed to play music for guests. During the time period, the organist kept scrapbooks about his stay at the house. These journals allowed retrieval of information for historic analysis and provided many important details for historians to recreate the house (Flagler museum, audio tour 2016). Flagler was a hard worker from humble beginnings, as the museum notes in the gallery dedicated to his life. The work he did in Florida was the beginning of a second career, and allowed the establishment of a connected system of transportation, known as the Florida East Coast Railway. Flagler's idea was to allow transportation to be connected in all parts of the state, and landowners petitioned him to extend the railroad south. After a freeze destroyed crops in the more northern areas, private landowners donated land to further extend the railroad south into the Florida Keys (Flagler Museum, Florida East Coast Railway, http://www.flaglermuseum.us/history/florida-east-coast-railway). The railroad's growth lead to the development of two million acres of land and this expansion of the railroad put Florida on the map and help spur the economic growth of its tourism stronghold that it is today. ". . . Flagler dredged a channel, built streets, instituted the first water and power systems, and financed the town's first newspaper, the Metropolis. When the town incorporated in 1896, its citizens wanted to honor the man responsible for the city's development by naming it, "Flagler." 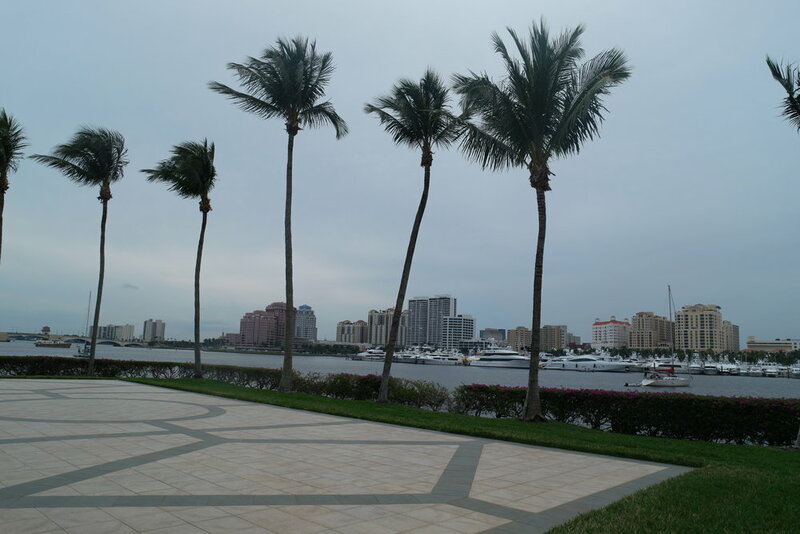 He declined the honor, persuading them to use instead the Native American name for the river running through the settlement, "Miama" or “Miami.” "(Flagler Museum, 2016). If you go outside you will find a pavilion that holds Railcar number 91, Flagler's private railroad car. The girls got to walk inside it and get to see the inner workings, which included a small kitchen. This was the actual Railcar that Flagler himself road into the Keys for the first time after the seven year project was complete. 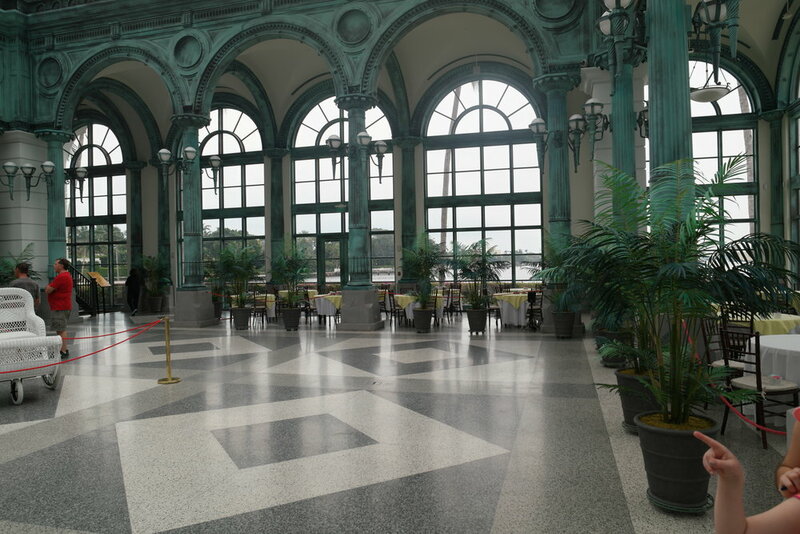 In this pavilion, you will also find an indoor cafe, which serves an era-inspired tea. 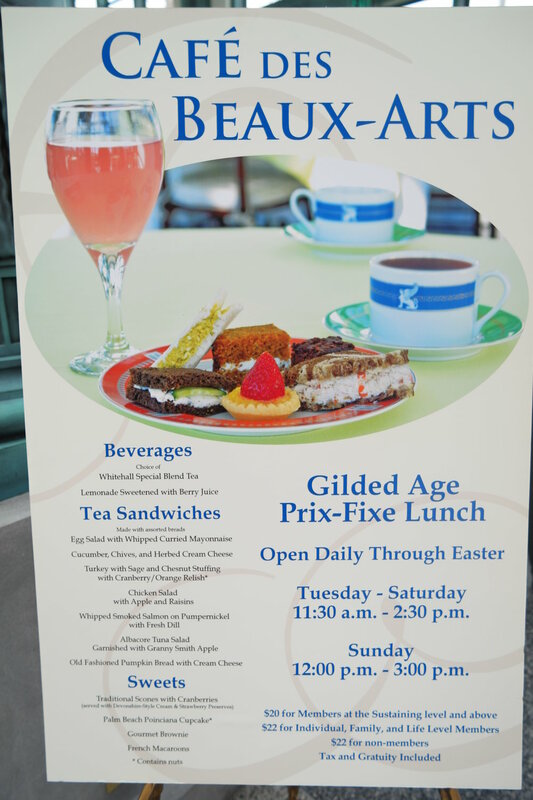 It is a fun thing to do if you have some extra time at the museum and includes an English-style tea with sandwiches, scones, and assorted pastries created by a chef. Flagler's vision was to create an overseas railroad, dubbed "Flagler's Folly", as the weather and location of the project posed significant challenges in extending the railroad into the Florida keys. The Keys held special importance during the time, as they served as Florida's largest city and natural port, as well as were in close proximity to Cuba and Flagler understood the significance of extending the railroad to the port (Hambright, historian at the Monroe County Public Library in Key West). During the centennial of the overseas railway, Monroe library uploaded a multitude of historic photos documenting the construction and opening of the railway. Countless, nameless workers built the railroad and many lost their lives to the perils, such as heat, hurricanes, tides, and mosquitoes, as many islets needed to be connected to make the railway possible. The completed project was called, "the Eight Wonder of the World" and survived until 1935 when it was destroyed by a hurricane. Despite this, the remaining structure would later serve as the foundation for US Route 1 to Key West. Below are some photos from this exhibit which you can find here. Flagler was a key figure in establishing a vision of modern day Florida, as a tourist haven. As I look at the many lavish artifacts left behind, I begin to have a revelation that what Flagler is most remembered for is not his wealth, but the good he did for the state of Florida, particularly of using his wealth to connect Florida to the rest of the US, and in realizing his dream of expanding the railroad while building hospitals, schools, systems of electricity, water, and transportation. You can stop to view some of these extravagant artifacts, like a solid gold tea set and you come away with a sense of thinking about what is important and what is left to the waste side looking back. Flagler died in 1912, after falling down the marble steps of Whitehall to in his old age. Mary Lily is said to have died addicted to opiates, and is rumored to have been seen alone looking out the second story windows of Whitehall (Mciver 1989). 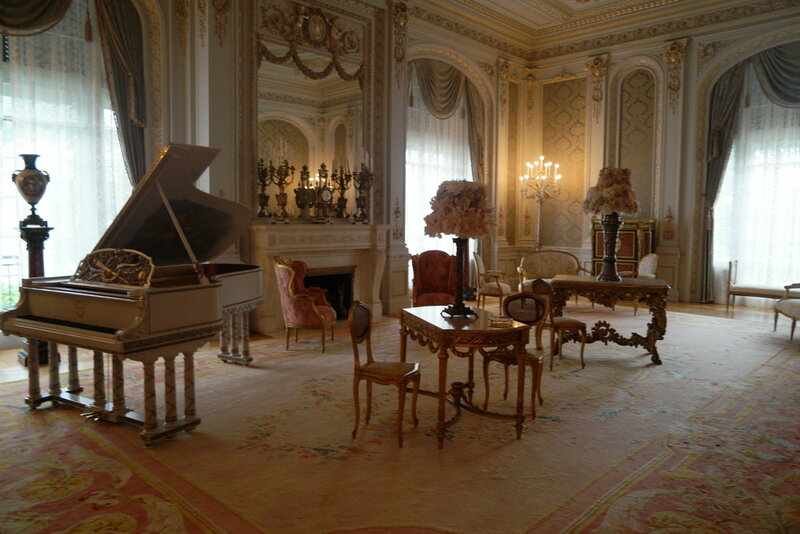 The home is a reminder of this world etched with gold, and stands as a testament to the Gilded age lifestyle. Today, the mansion is almost a reminder of the excess and extremity that wealth can bring, reminding us that perhaps what one does in life is more important than what one accumulates - as Flagler is most remembered for his contributions to the State of Florida. Mciver, S. July 2, 1989. The Tragic Mistress of Whitehall. http://articles.sun-sentinel.com/1989-07-02/features/8902190293_1_robert-worth-bingham-coffin-henry-morrison-flagler Accessed April 27, 2016. National Historic Landmark Nomination, Whitehall, National Park Service https://www.nps.gov/nhl/find/statelists/fl/Flagler.pdf Accessed April 27, 2016.